The Ratings add-on is pretty straightforward. 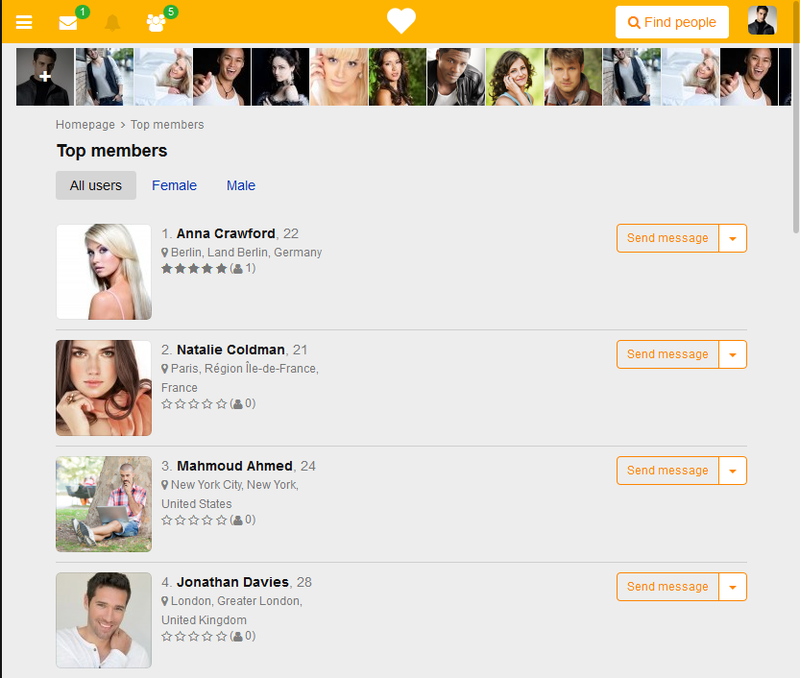 It helps site members rate each other’s profiles and media files, as well as view the list of Top Members. Top Members are added to the site as a stand-alone page. 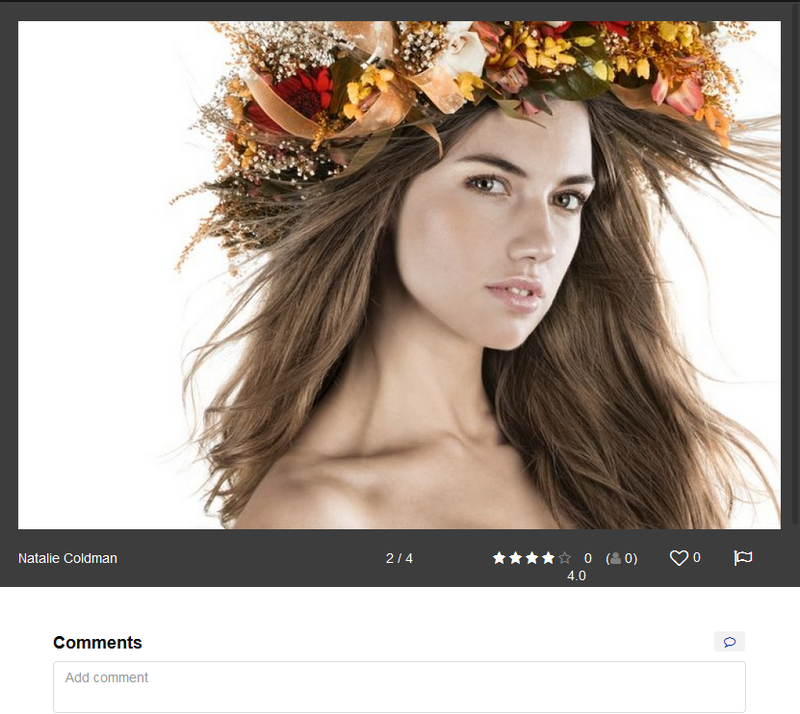 Here (/admin/ratings/index/) you will find all ratings by the site users. 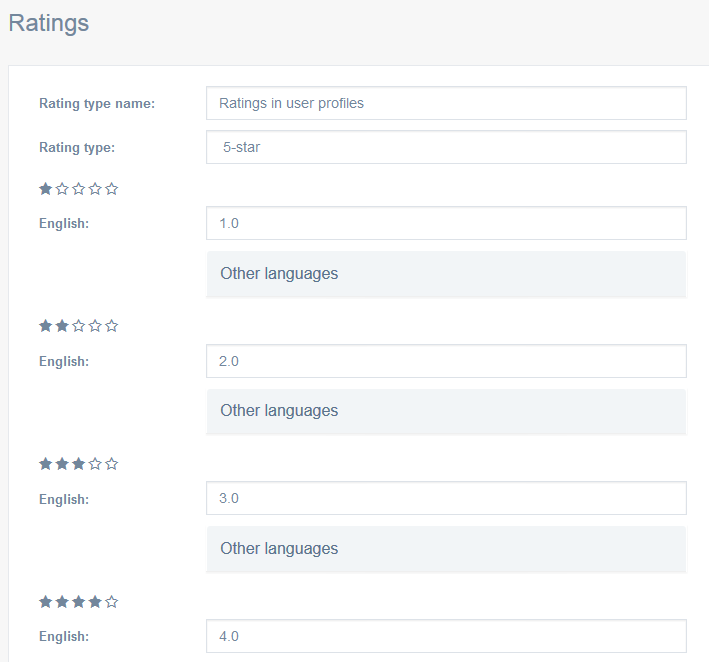 This section (/admin/ratings/types/) is used to modify the labels of each rating option. Click Edit rating parametres to enter the menu. You can rename each label separately. For example, use adjectives instead of numbers. 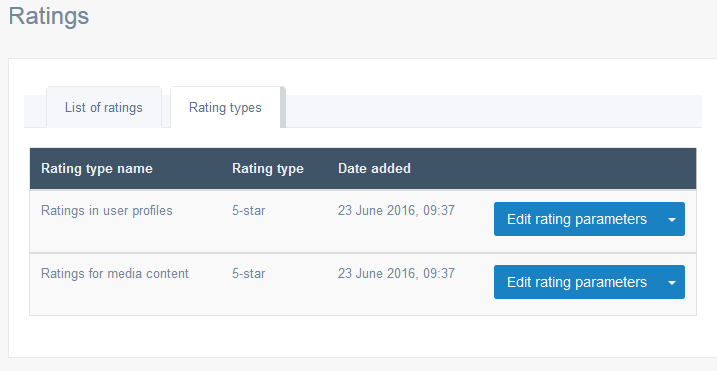 This is what the Ratings module looks like in the user mode.